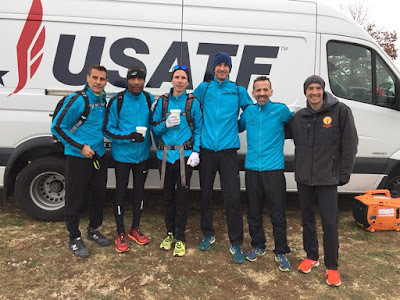 The Central Mass Striders men’s masters and senior teams placed 2nd among the teams at the USATF New England Cross Country Championships. Temperatures were in the mid-50’s under a cloudy sky and dry course. Greg Putnam led the charge for the masters with an 8th place finish while David Prinicipe Sr led the Senior team with his 25th place finish. 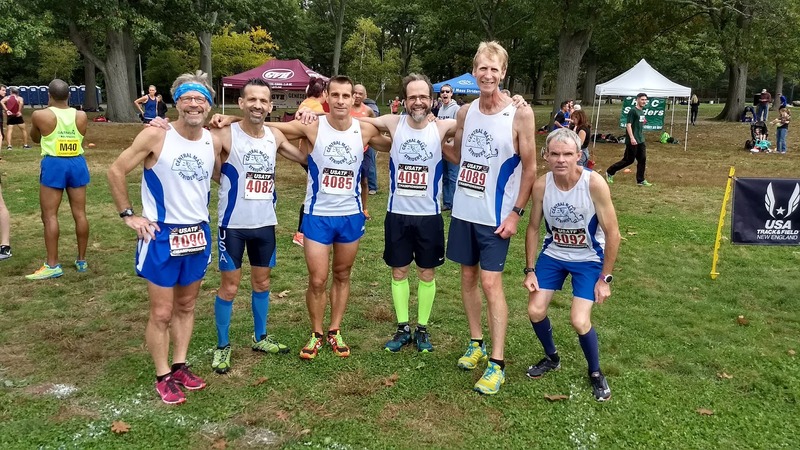 Joshua Perks, Joe Shairs, David Principe, and Steve Brightman rounded out the scoring five for the masters team for a combined score of 76 points, behind BAA’s 15 and ahead of the Greater Springfield Harriers who had 90 points. Ed Sheldon, Erik Vandendries, Dave Dunham, and Dan Verrington capped the scoring for the Seniors team who found themselves in a tight race. 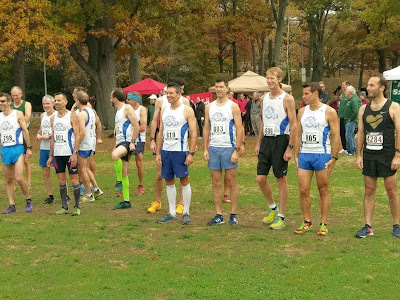 In the end, BAA came out on top with 49 points, followed by CMS with 54, and Greater Springfield Harriers with 61 points. Scott Leslie finished up his 2017 All Terrain Series title by placing 58th in the open race. Matthew Veiga finished in 93rd place. All CMS finishers in blue below. 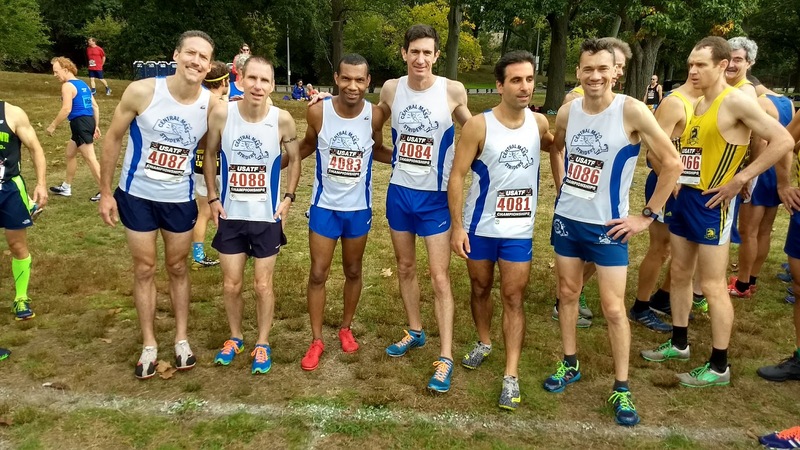 The CMS men’s racing team competed in the last of the USATF New England Grand Prix Road Race series for 2017 with the Baystate Marathon in Lowell, MA. The cool 8:00AM start warmed up into the 70’s by the late morning. In the end, a Bronze and two Gold’s for the men’s team. The open team placed 3rd out of 11 teams. Colin Carroll led the way running 9th overall with a time of 2:35:07. Scott Leslie, with his second marathon in a week, ran 2:36:33, 14th overall. Alan Bernier who also led the masters team, was the third CMS runner to cross the line, running a time of 2:38:49, good for 16th overall. He won his age group and was the first 40+ runner to cross the line. The masters team took first place out of six scoring teams. 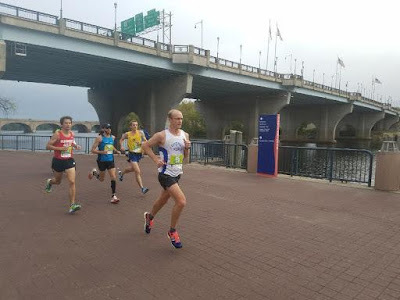 After Alan Bernier, David Principe Sr and Ed Sheldon worked together for most of the race running 2:44:49 and 2:45:41 respectively to wrap up the scoring for the masters team. 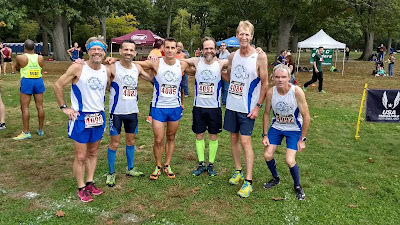 While David and Ed scored down for the masters team, they along with Dave Dunham, 2:57:11 captured the team win out of five senior teams. All three placed 1, 2, and 4 in the 50+ age group. Lastly, congrats to the following CMS men who completed Iron Runner status by completing all six of the USATF races in 2017. Per Dave Dunham (check out his blog), CMS had the 3rd most Ironrunners this year. 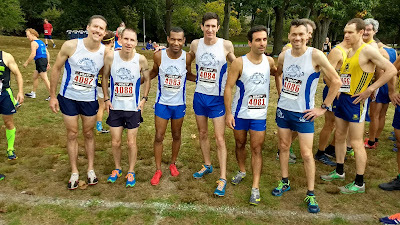 The men's masters placed 2nd and seniors placed 3rd at the National Masters 5K Cross Country Championshps hosted at Franklin Park. 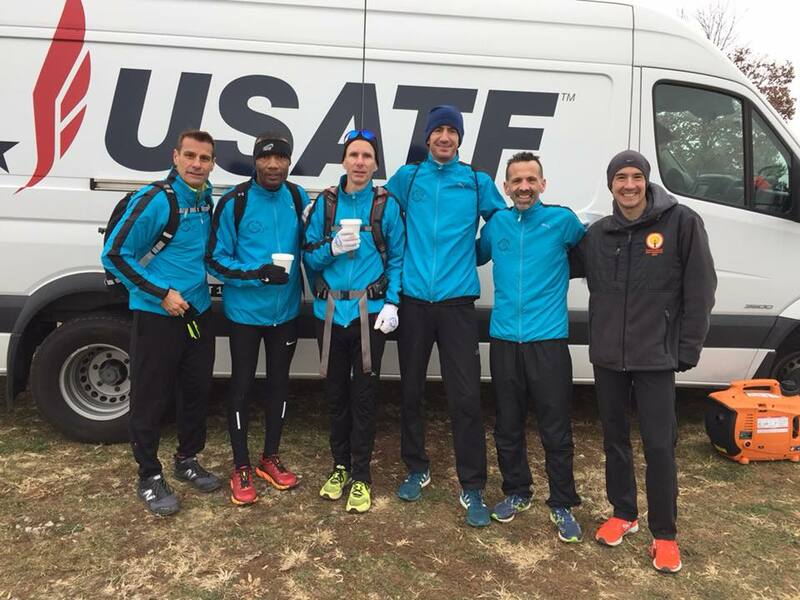 The masters team was led by Greg Putnam who placed 12th overall. The Seniors were led by David Principe who ran 18 flat in 47th place. Paul Bazanchuk placed 12th overall in the 60+ championship race. 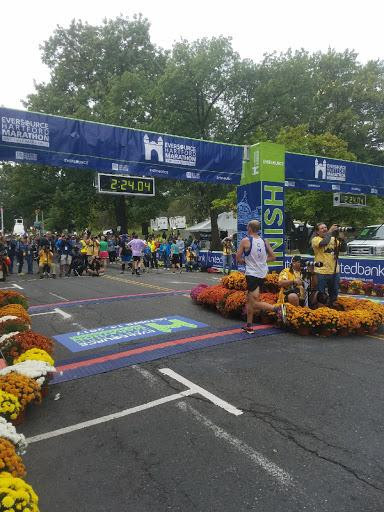 CMS men had fine races yesterday in Hartford, CT. Scott Leslie ran 2:24:03.31 for 5th place while Daniel Vassallo was 8th with a time of 2:26:38.68 at the Hartford Marathon. Todd Callaghan took the overall victory at the final USATF NE Mountain series race at Bretton Woods this past weekend (and then went for a 20 mile warm-down!). CMS swept the team titles at Bretton Woods and also the entire series. CMS individuals took 2nd through 8th place in the overall series standings. In the age groups CMS runners took first, third, and fifth in the 60+ (Bazanchuk, Miller, and Martin). First, second, and third in the 50+ (Dunham, Sheldon, and Vandendries). First, second, and third in the 40+ (Callaghan, Van Orden, and Brightman). In all 302 different USATF members took part in the series. 149 earned “Goat” status by running in at least 5 of the 7 races. Dave Dunham and Barbara McManus were among the six people who managed to run 8 of the 7 races (there was a bonus ascent race on Saturday that counted toward “Goat” status but not toward total finish if you ran the Sunday race).